With the new guild perks like Mr. Popularity grinding out reputation goes a lot faster! Even at Rank 1 it took considerably less time than I expected. 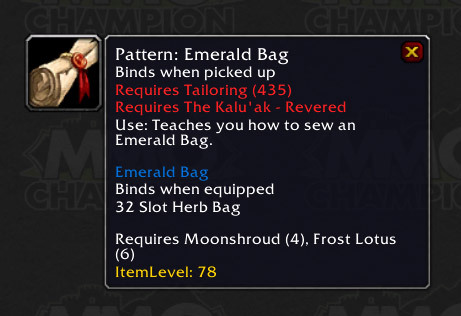 I created two general macros so I can easily verify the status on my alts since I want to have Mastercraft Kalu'ak Fishing Pole on each of them, before starting the dailies. Exalted with the Kalu'ak grants Tuskarrmageddon, slightly more achievement points than a usual reputation achievement.